The accurate diagnosis of your headache will enable the doctor to come up with the proper treatment plan. Keeping a headache journal is one of the best ways that will help you pay attention to your particular headache symptoms in order to determine the best tension headache treatment. The nature, location, and intensity of the pain are all factors that your doctor needs to know so that he or she can rule out other possibilities. Tension headache is one of the most common types of headaches. Patients usually describe this pain as having a tight band wrapped around their foreheads. Some patients also report feeling moderate or intense pain in the neck or behind the eyes. Tension headaches usually happen in episodes that occur once or twice per month. However, some patients suffer from chronic tension headaches that have a great negative impact on the quality of their lives. 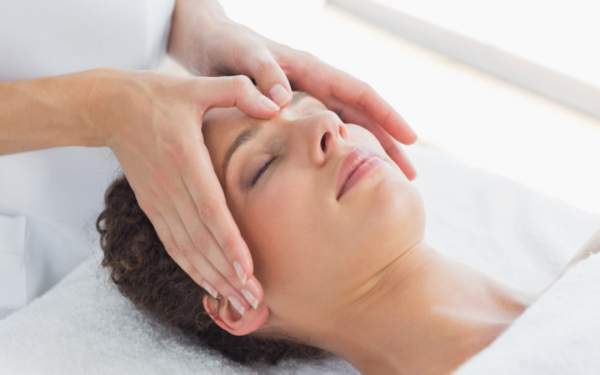 What is the Best Tension Headache Treatment? Most patients try to find a cure on their own. One of the most popular tension headache treatment option is relying on OTC medications(1) or painkillers that relieve the pain. However, OTCs should be only taken in moderation and under the supervision of the doctor. Too much depending on these painkillers can cause a different type of headaches known as rebound headaches. These are not triggered by the natural headache triggers but simply happen when the effect of your painkiller starts to wear off. Prescription drugs are the second route to go. Nevertheless, people usually go to the doctor for prescription drugs only after taking OTCs for a very long period. Some of these prescription drugs are very strong painkillers. In that case, you should always stick to the dose to avoid adverse side effects. In some cases, the tension headache is caused by tight muscles that actually feel like they are squeezing your head. When your doctor runs a few tests, they will be able to identify the cause of your headache and hence prescribe the proper medication. In such cases, a muscle relaxant is used to relieve the tension and eliminate the pain. Some patients suffer from tension headaches as a result of being under too much stress. Stress normally leads to hormonal imbalance which can cause the headache pain among other health problems. In this case, the doctor may describe an antidepressant or a selective serotonin reuptake inhibitor. Although SSRIs have minor side effects, you should always stick to the doctor’s orders. What are the Other Treatment Options? Most patients agree that there are some other treatments that work hand in hand with the drugs. In fact, some even report that they were able to forego the drugs altogether after a while. One of these treatments is stress management classes. These help patients better cope with their stress that usually triggers tension headaches. Another treatment is yoga. This also helps patients relax and deals with muscle tension that is directly related to the tension pain. A lot of patients consider acupuncture as a method of dealing with stress and tension. By inserting fine needles into specific parts of the body, the patient is more likely to experience little or no pain over a period of several sessions. It is very important to consult your doctor before you attempt to mix medications or to consider alternative treatments. This is the best tension headache treatment to get rid of the pain while taking care of your health.